Calling ALL Little Grapplers! Superhero week is BACK! 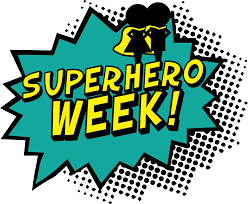 For the week of 4/1 - 4/6 students can come dressed as their favorite superhero! You can be a different superhero for every class! For safety concerns, NO full masks or socks please. To register for Superhero Week Click HERE.